Lyonchhen Tshering Tobgay recieved Her Excellency Sheikh Hasina, the Prime Minister of the Republic of Bangladesh this morning at the Paro International Airport. Her Excellency is on a 3- day State visit to Bhutan. The People and the Royal Government of Bhutan welcomes Her Excellency and wishes her a fruitful trip. Lyonchhen Tshering Tobgay met Dr. Bruce W Bunting, the President of Bhutan Foundation today evening. Lyonchhen thanked Dr. Bunting for his support in Bhutan and commended him for his work in establishing World Wildlife Fund offices in Bhutan, Nepal, Thailand, Papua New Guinea and other Asian countries. 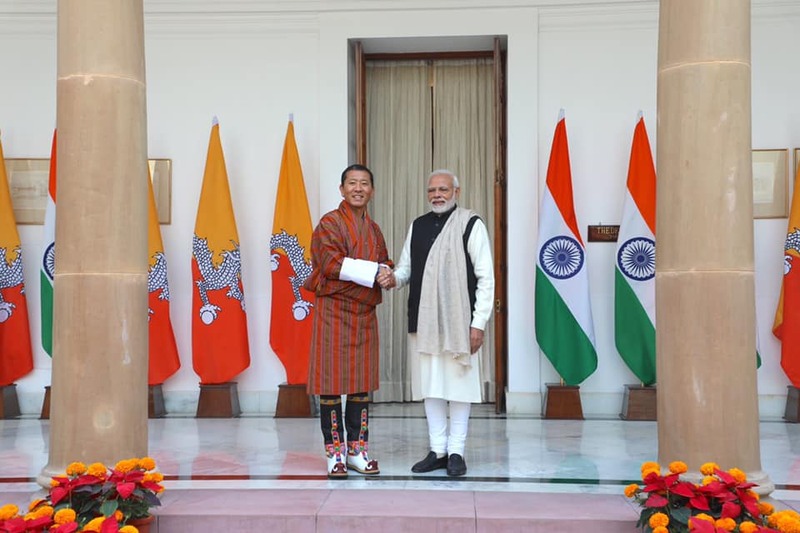 Lyonchhen Tshering Tobgay called on to H.E. Mr. Md. Abdul Hamid, President, Government of the People’s Republic of Bangladesh today at the Taj Tashi Hotel, Thimphu. Condemning the terror attack in the Café in Bangladesh last night, Lyonchhen said that the act was unprecedented in the history of Bangladesh and complemented the Government of the People’s Republic of Bangladesh and its security forces for quick handling of the situation. “Nowhere in the world has terror attacks been resolved this quickly and efficiently,” Lyonchhen said. Lyonchhen wore a Green Gho today to show solidarity with the people of Bangladesh.